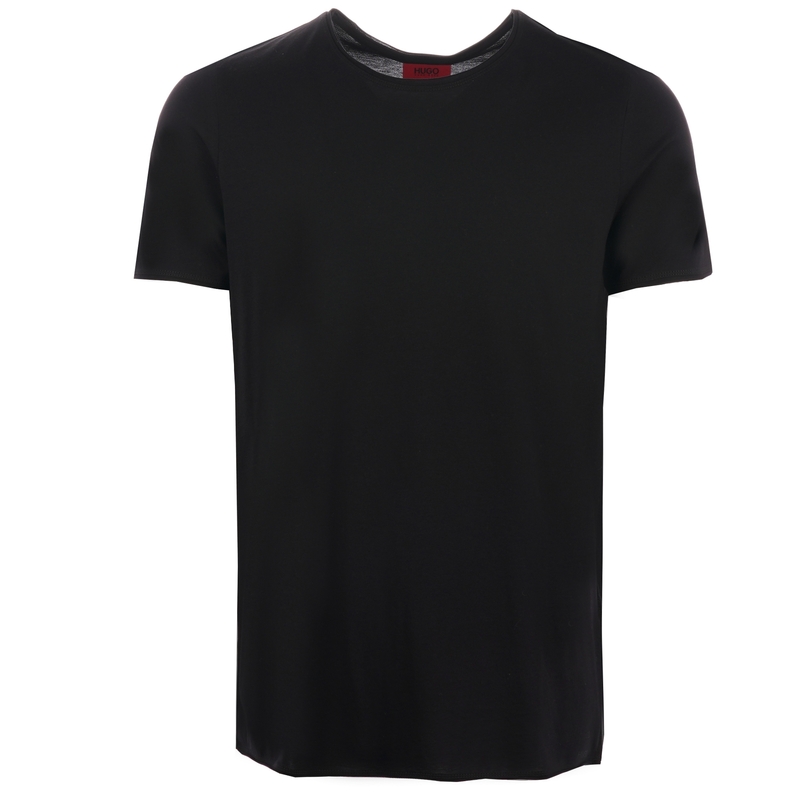 A contemporary staple arriving as part of this season's HUGO Menswear collection the Depusi T-Shirt has been crafted to create a canvas to an outfit adding an air of edgy tonality with a longer than regular cut. Reiterated with a bound crew neck up top the rest of the piece remains simplistic in nature with a plain black body contrasted only at the front left hem with the appearance of a small tonal HUGO logo. Crafted from a super soft pima cotton - optimal for day long wear - try teaming with a pair of black slim cut denim or trousers for effortless results over the course of the coming months.